Already done with season two of Stranger Things and wondering what to watch next? Check out the best Korean dramas airing right now and get your fill of quality TV. Hong-ju (played by Suzy Bae) has a big secret: She can see the future in her dreams. But as her nightmares become reality, she struggles with her special ability, until she meets Jae-chan (played by Jong-suk Lee), a prosecutor who gives her hope in preventing the horrible events she envisions. Even before this show began, this collaboration between the two A-list stars, Suzy from K-pop group Miss A and Jong-suk Lee from W (2016) garnered a lot of attention. The writer of While You Were Sleeping also wrote the popular show I Can Hear Your Voice (2013), starring the same actor, Jong-suk Lee. + Watch it on Viki. There’s been many popular crime Korean dramas recently, but this one stands out above the rest. Yi-deum (played by Ryeo-won Jung) is an ambitious prosecutor who takes risky measures to win in court and stay on the fast track. An unfortunate event lands her on the team with Jin-wook (played by Hyun-min Yoon), a pediatric psychiatrist-turned-prosecutor, and their relationship becomes complex as they work together to resolve everyday crimes committed against women and children. 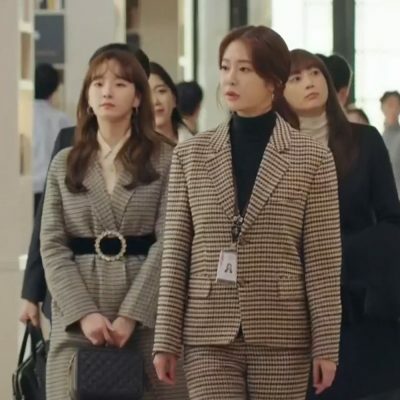 After quitting her stable corporate job, Hyun-soo (played by Hyun-jin Seo) decides to follow her passion and become an assistant to a famous Korean drama writer. While she’s struggling to realize her dream, she meets Jeong-sun (played by Sae-jong Yang), a handsome chef-in-training who pursues her despite their age difference. Things unfold as they later meet again, this time at different points in their lives. This drama is a realistic portrayal of romantic relationships and has elements of both comedy and melodrama. If you’re a longtime Korean drama fan and loved Coffee Prince (2007), you’ll have a special appreciation for the love quadrangle involving Jeong-woo, a wealthy man in a suit played by Jae-wook Kim. + Watch it on Dramafever. Sae-hee (played by Min-ki Lee) is a successful app designer who, despite his good looks, keeps only his cat as a true companion. This all changes when Ji-ho (played by So-min Jung) moves into his apartment as a tenant. Without having feelings for each other or the desire to get married, they settle into a contractual marriage out of convenience, which turns out to have consequences they didn’t expect. Though the plotline is pretty predictable, it’s refreshing to see So-min Jung from web cartoon-based drama The Sound of Your Heart (2016) and Min-ki Lee from the legendary rom com Very Ordinary Couple (2013) come together as a couple who’s adorable and hilarious. + What do you think are the best Korean dramas to binge? Let us know in the comments!